BERLIN -- Robert Bosch will continue to develop its own visual technology regardless of Intel's $14.7 billion deal to buy Mobileye, an executive said on Wednesday. Bosch competes with Israel's Mobileye, which supplies integrated cameras, chips and software for advanced driver assistance systems (ADAS) that are essential for autonomous driving, and owns about 70 percent of the market. "We are investing a lot of money in our own video technology and we want to stick with this strategy," Bosch managing board member Dirk Hoheisel, who is in charge of mobility services, told a news conference at the Bosch Connected World exhibition. The acquisition of Mobileye by Intel, the world's biggest chipmaker, promises to escalate the arms race among carmakers and suppliers to acquire autonomous vehicle technology. The deal was announced on Monday. 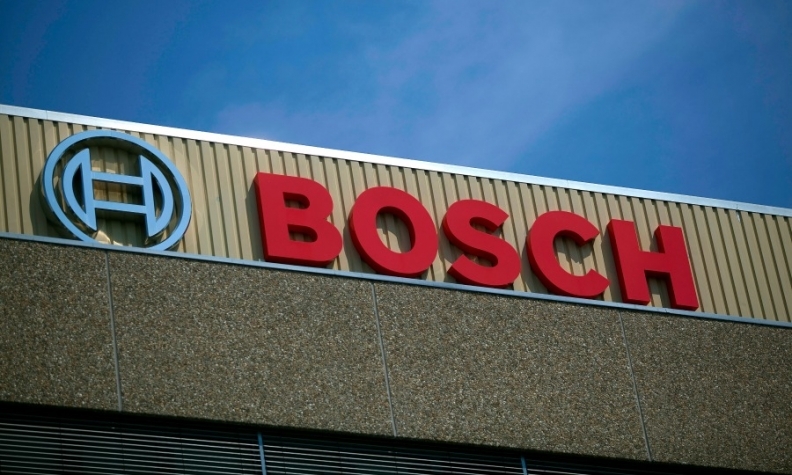 Bosch CEO Volkmar Denner said it was too early to say what effect the merger would have on the competitive landscape or Bosch's own strategy. "I can only comment about the two companies as of today. Intel is a major chip supplier and therefore also partner of Bosch. Mobileye today is clearly a competitor," he said. "What the future merger will bring, we will have to see. We will talk of course to Intel and Mobileye." Bosch, along with rivals including Autoliv and Continental, have decided to stick to plans to develop their own technology for the current generation of ADAS, unlike for example Valeo, which stopped in-house development and decided to buy Mobileye's products instead. Bosch also relies on an array of partnerships with software makers including SAP, Software AG, IBM , General Electric and Amazon. The co-founder of Mobileye as well as the CEO of chipmaker Nvidia, with whom Bosch has a partnership in on-board computers, are also due to speak at the Bosch exhibition in Berlin. Nvidia CEO Jen-Hsun Huang is expected to give more details on Thursday of the partnership with Bosch, in which they will develop artificial intelligence to guide self-driving cars through complex traffic situations. The computers will be designed to learn how to use knowledge about the vehicle's surroundings gathered with the help of cameras and sensors to make intelligent decisions about how to act, for example to avoid a pedestrian crossing the road. The on-board systems to enable fully automated driving are planned to come onto the market from 2020. "Of course, we still have to prove that an autonomous car does better in driving and has less accidents than a human being... so it's a promise," Denner told the news conference.